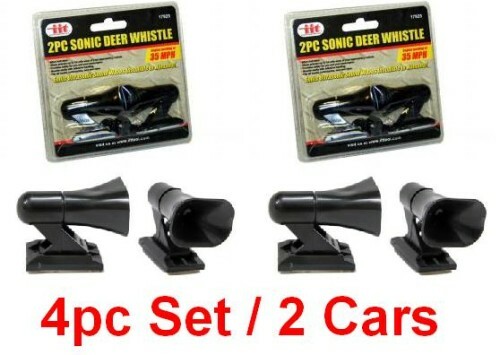 Up for sale is 2 sets of Wildlife Warning Whistle Devices! -2 sets for the price of 1! -Starts working at 35mph, Alert animals up to 1/4 mile away! -Measures 2" x 1.5" x 1.5"